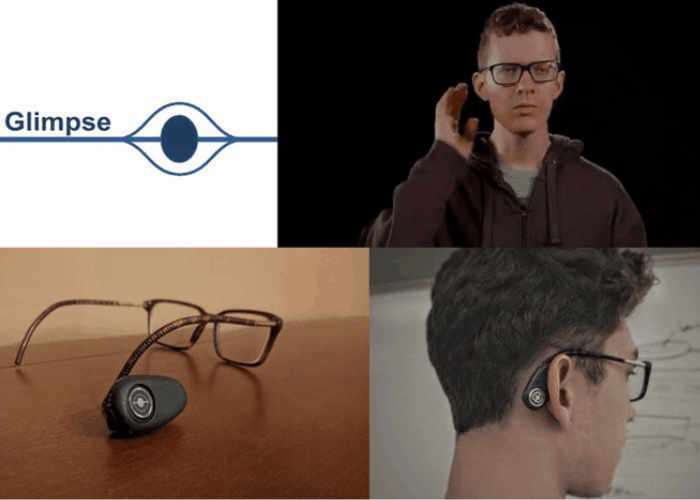 Glimpse has developed a new piece of hardware which they say can transform any pair of glasses into smart glasses. The small Kai hardware has been designed to sit behind your ear and allows you to access a smart voice interface whenever you may need. Once attached and set up to its companion application the Kai hardware can allow you to make calls, text search and even request a Uber pickup without the need to handle your smartphone. Glimpse has launched Kai this week via Kickstarter with the aim of raising just over $55,000 over the next 40 days or so to help take the new hardware into production. Watch the demonstration video below to learn more about Kai and how it functions. For more information on the new Kai smart glasses hardware jump over to the Kickstarter website via the link below for details and to make a pledge from $130 for super earlybird backers, with shipping expected to take place during August 2017.